hexapodrobot.com • View topic - My Walking Robot Inspiration.. What's yours? My Walking Robot Inspiration.. What's yours? Re: My Walking Robot Inspiration.. What's yours? 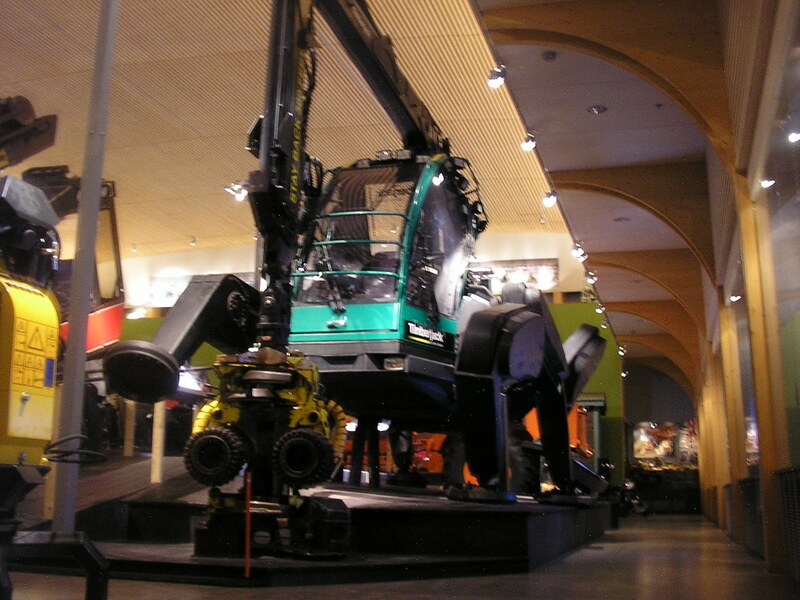 One the most advanced forestry machines ever built — the unique Plusjack Walking Harvester — can now be viewed at Lusto, The Finnish Forest Museum, in Punkaharju, Finland. 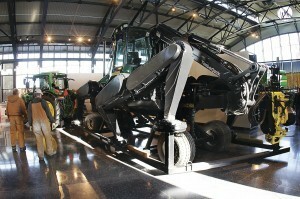 The Plusjack Walking Harvester was developed in 1999 by Plustech, the advanced research and development unit of Timberjack, now a John Deere company. Ahead of its time in the ’90s, the unique Plusjack Harvester never made it into production. 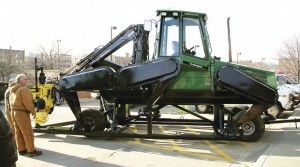 Nevertheless, the prototype clearly shows the advantages of its no-wheel design: The environmentally friendly harvester can operate on very steep and uneven ground, move in any direction, and turn on the spot. And, its footprints on the forest floor are almost invisible. But while Plusjack’s footprint might be invisible on the forest floor, it is not unknown in forestry history. “The same technology that was used in developing the walking machine is also used for the technology in all our harvesters,” says Marja-Liisa Bijmolt, Marketing Manager, John Deere Forestry. “The walking machine video in YouTube has been viewed more than one million times, and even now, over 10 years after Plusjack’s first public deputation — we still receive inquiries for photos and videos from around the world,” Bijmolt continues. Plusjack was donated to Lusto, The Finnish Forest Museum, at a ceremony attended by Lusto personnel, by participants who prepared the machine for display, and by representatives from John Deere Forestry. The Plusjack is now part of the museum’s permanent exhibition, which ranges from forestry machinery of the early 20th century up to the latest designs. According to Lusto Exhibition Manager Pekka Lehonkoski, the Plusjack is a great addition to the collection, since it depicts the leading role played by Finnish companies in the development of state-of-the-art forestry machine technology. “The Plusjack is a fine example of cutting-edge Finnish engineering skills. It represents strong confidence in technology, as it was especially designed for extremely difficult terrain,” stated Lehonkoski at the donation ceremony at Lusto. An even older prototype (MECANT), I believe this machine was built for research into hexapod locomotion, that ultimately became the plustech Harvester. Stumbled on the Ivan Walking machine recently, 1983! Interesting leg design using a parallel hydraulic linkage. There are some really nice advantages with this type of design, although this particular machine didn't look to comfortable to ride!